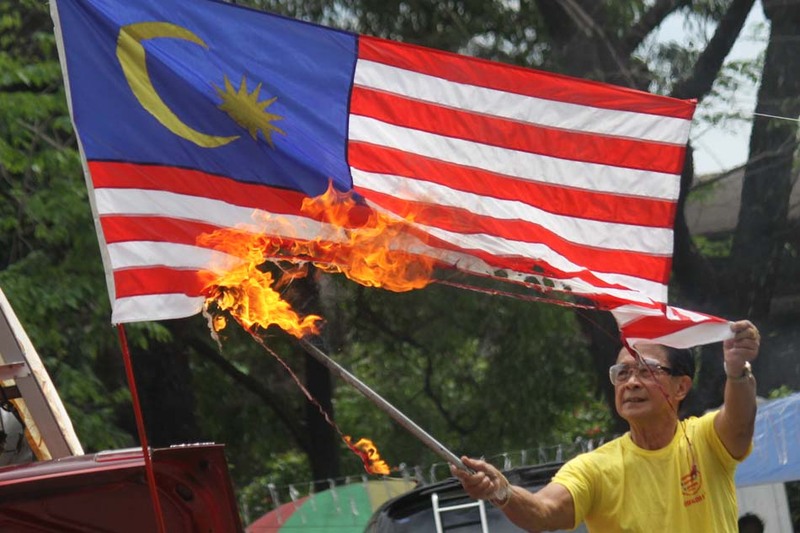 Former Philippine police officer Abner Afuang burns a Malaysian flag on Wednesday during a rally in Manila to protest the military assault by Malaysian forces on Filipino gunmen in Sabah. Malaysian forces are rounding up elements of the group after the assault failed to end the three-week crisis. Copyright © 2019 ABS-CBN Corporation. All rights reserved.